After a short break from reviewing vegan pizzas, I am back on my tip! 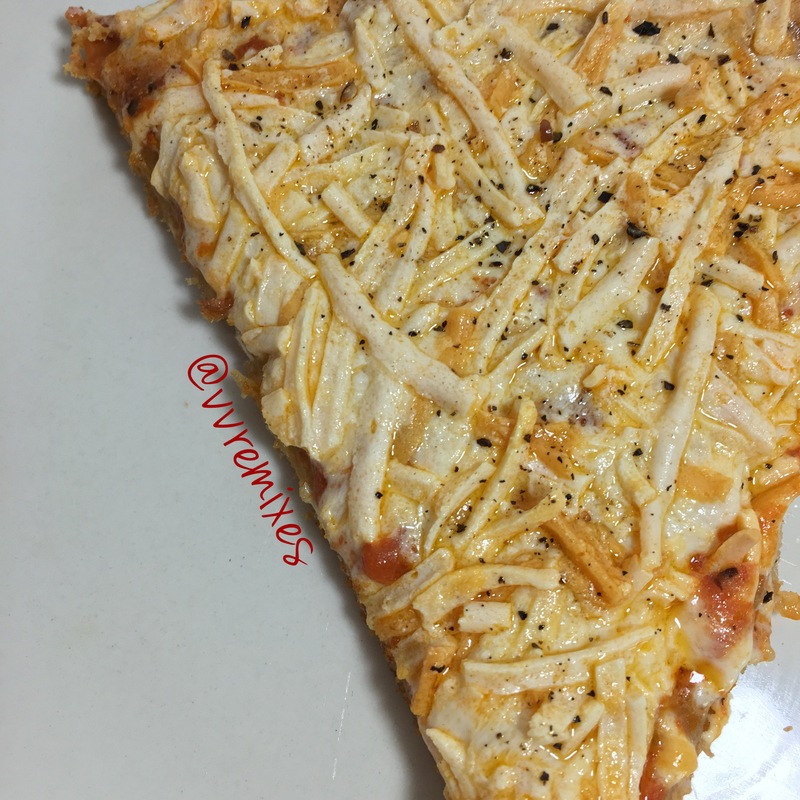 This week, I bring you the Daiya Cheese Lovers pizza. That being said, there aren’t very many other appetizing frozen vegan pizzas on the market (other than the other two I have reviewed), so my pizza review train may be off the tracks for a bit… just sayin’. A substantial amount of daiya cheese. Ingredients list is fairly easy to read. My fiancé gave the stamp of approval – though is favorite is still the Tofurky Pepperoni pizza. Sort of tough to cut, though it was very hot while I was attempting. Every once in a while, the taste of vegan cheese made itself very present. Not a huge deal, but hard to ignore at times. Although this was “cheese lovers”, I think it would have been better with some toppings. Highest Calorie & sodium option of all 3 pizzas I have reviewed. Verdict: 4.5 stars! Super delicious – and my fiancé’s second favorite! I would say in my mind, this pizza is my third favorite of all the frozen vegan pizzas I’ve tried thus far, though the other two gave some stiff competition! #Realtalk – vegan pizza is not healthy – ie. 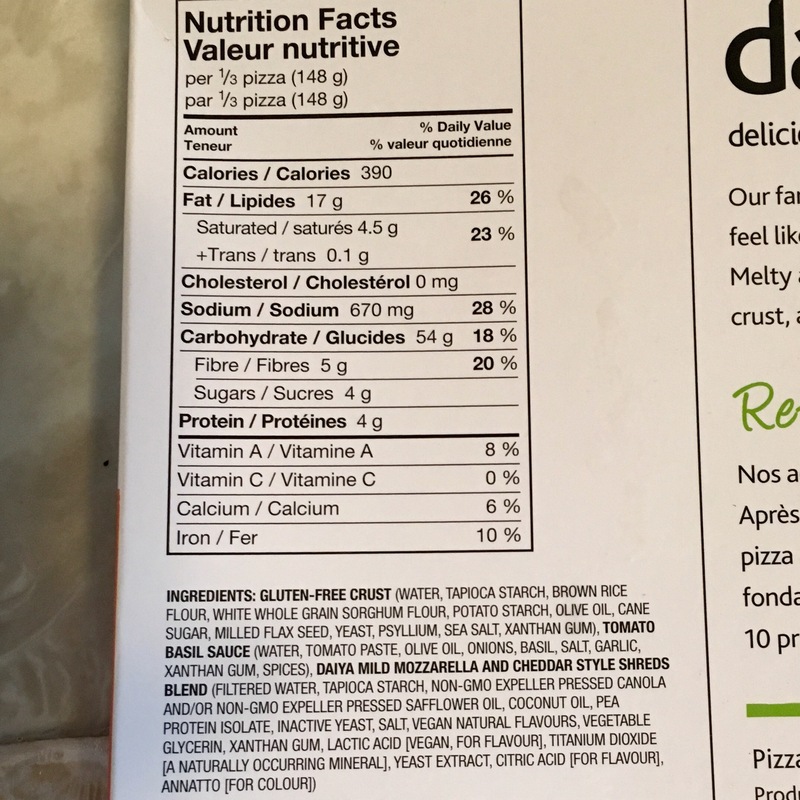 vegan does NOT equate to healthy – I certainly wouldn’t recommend eating this stuff every day – half the pizza is approximately 585 calories, and 42% of your daily recommended sodium – definitely not great.